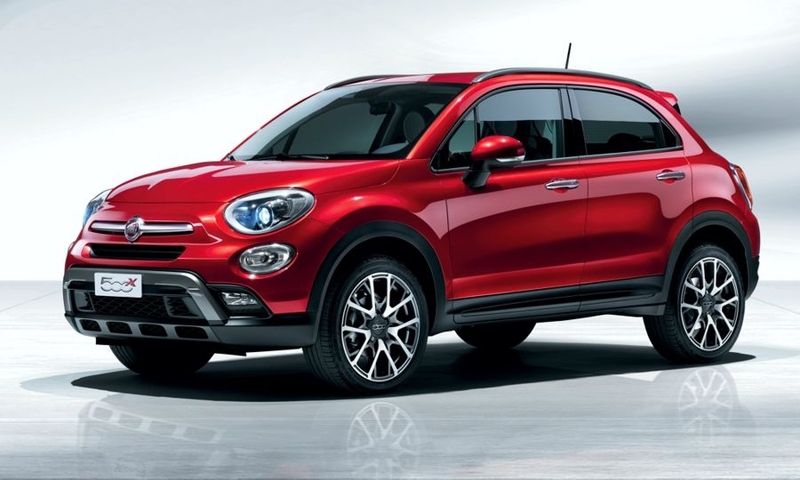 PARIS -- Fiat is touting the 500X's Italian design as a standout feature that will help the car win sales in the booming but hotly contested subcompact crossover segment. 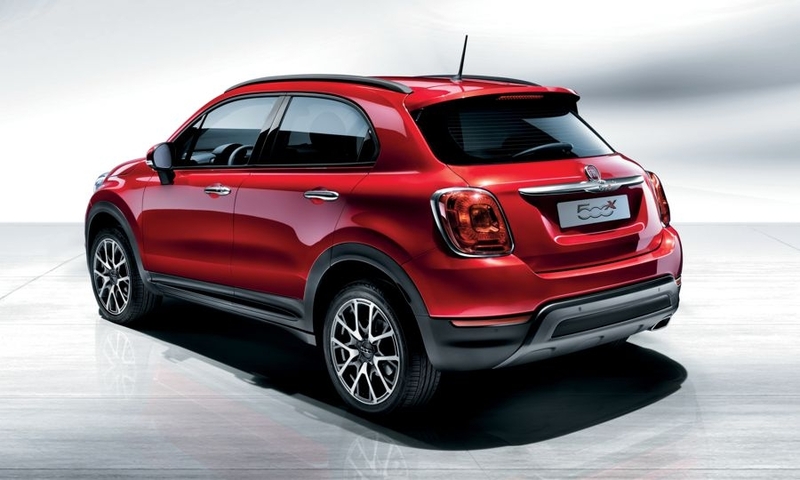 The 500X's styling reflects the cute iconic design of the 500 minicar from the 1960s and "when you buy a 500, you buy a little piece of Italian lifestyle," said Olivier Francois, Fiat brand's global boss, at the car's unveiling at the auto show here Thursday. The 500X will be sold in 100 countries including European markets and the United States. It is almost identical to a styling model briefly shown in July 2012. 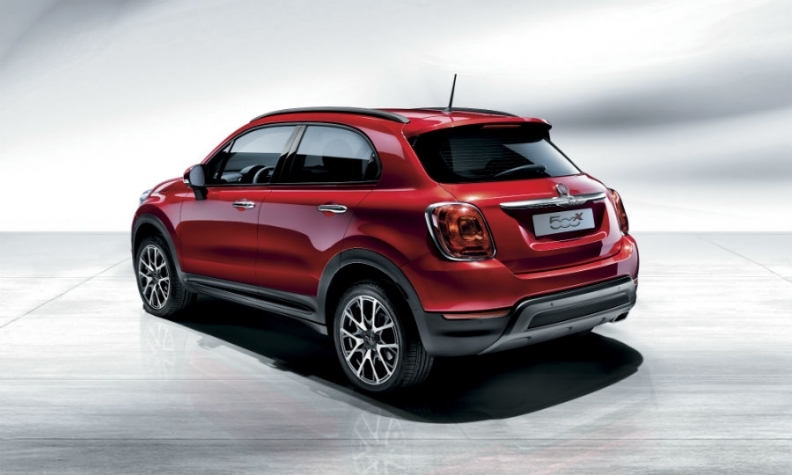 The 500X is especially important to halt losses and sliding market share at Fiat's operations in Europe. The 500X will arrive in European dealerships in the first quarter of next year, and next summer in the U.S. It will be offered with front-wheel- and all-wheel-drive options but won't target customers of its sister model, the Jeep Renegade, which is aimed at the U.S. brand's off-road enthusiasts. 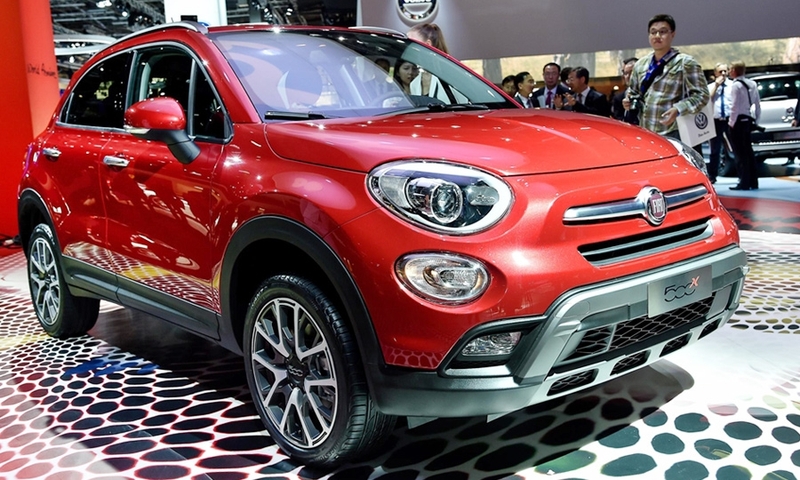 While the models have common underpinnings, "the 500X and Renegade are two very different cars," Fiat Chrysler CEO Sergio Marchionne said at the auto show here. The Fiat is a crossover, and "the Jeep is a Jeep," he said. "You wouldn't be able to follow a Jeep Renegade uphill with the 500X," Marchionne said. Francois said the 500X will target the mainstream customers and its 4250mm length helps to make it roomy inside. Luggage capacity is 350 liters. The two vehicles share engines, transmissions and other key components to cut costs. Like the Renegade, the 500X will have a nine-speed automatic as one of its transmission options. Other transmission options are six-speed manual and automatic gearboxes. 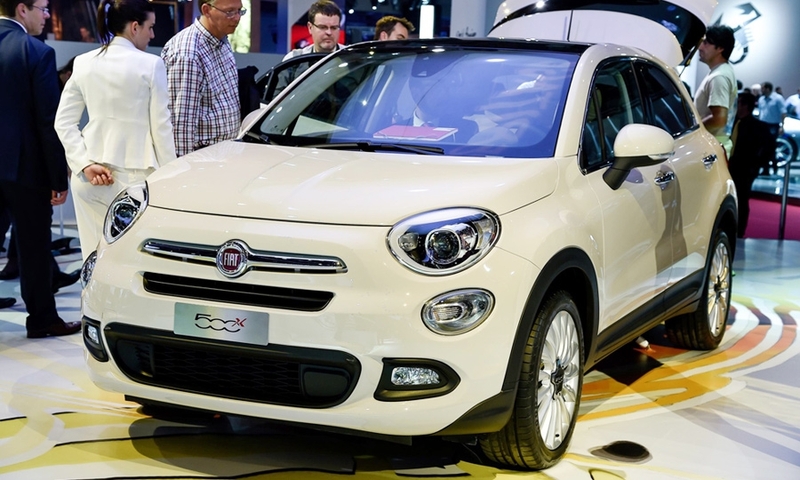 The 500X will be offered in Europe with four gasoline and three diesel engine options. U.S. engine details have not yet been released. Safety equipment will include blind spot detection, adaptive cruise control and lane-keeping assistance. 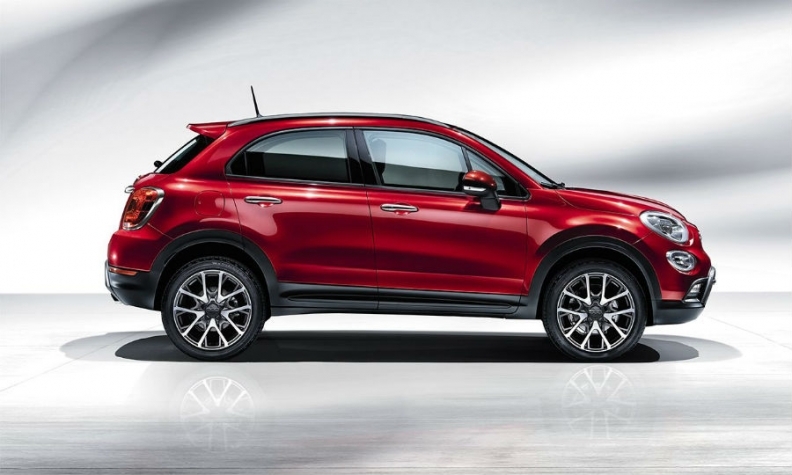 The 500X's all-wheel-drive option may help the car compete with Europe's subcompact crossover segment leaders, the Renault Captur and Peugeot 2008, which are only available in front-wheel-drive variants. The 500X is targeted at mainstream customers. Analysts say the 500X and Renegade will appeal to different types of customers. The strength of the 500X will be its design, while that of the Renegade will be its functionality, said Ian Fletcher, an IHS Automotive analyst. 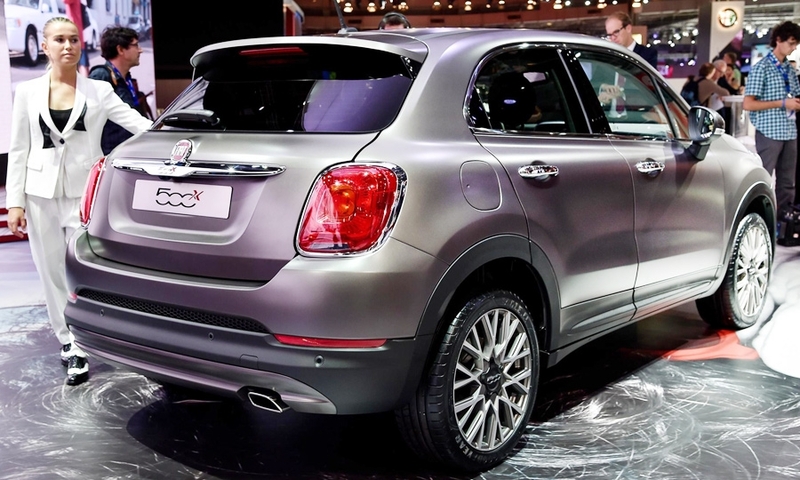 "The 500X has the cute appeal of its smaller sister, and it's going into a booming segment," Fletcher said. "It will also be a good alternative in the U.S. for customers who want a five-door 500." 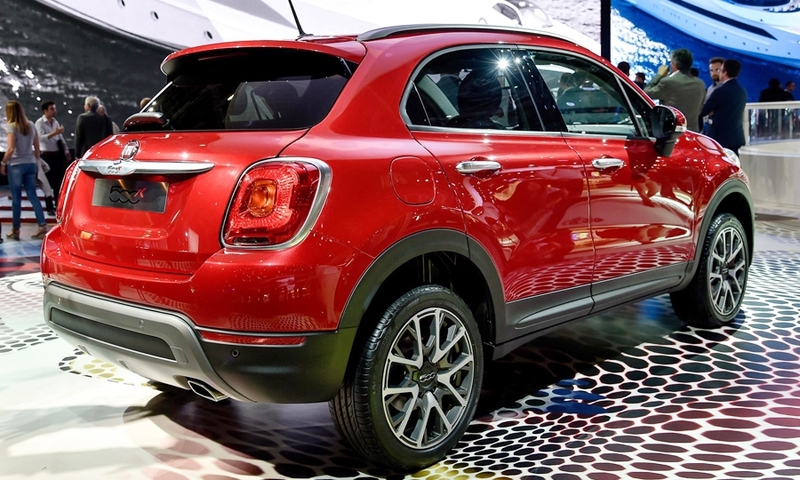 IHS forecasts that Fiat will sell 73,000 of the 500X next year, climbing to 97,000 in 2016. The subcompact SUV/crossover niche is the industry's fastest growing market segment globally. Sales of subcompact SUVs have been surging in recent years and are forecast to jump 30 percent to 1.95 million vehicles worldwide in 2014, IHS estimates. The 500X is the latest member of the 500 family. The 500X and Renegade are being built on the same production lines at Fiat's factory in Melfi, central Italy, where the planned annual volume for the Renegade is up to 150,000 units, while the 500X version will account for 130,000 units, according to supplier sources. In Europe, the 500X will replace Fiat's slow-selling Sedici, which Suzuki built at its plant in Hungary. The 500X joins the 500 three-door hatchback, the 500 convertible, the 500L five-seat minivan and the longer seven-seat 500L Living. In the first eight months, sales of the 500 range in Europe grew by 23 percent to 188,645 units, data from JATO Dynamics shows.